For the past couple weeks, it has been on my heart to post about the food pantry. I know, I've mentioned them before on this blog. We volunteer at the pantry -- a lot -- and that is something that has meant so much to my family. On a day like tomorrow, which is Mobile Food Truck day, we can all get involved. The teens carry boxes while participants select their items, and then carry the boxes (and 50 pound bags of potatoes!) out to load into the cars. The 8- and 10-year-olds can man a station, letting people know that they can have one cabbage, or that they can get 2 apples per family member, or whatever. They smile and give suggestions as to just what one can do with sweet potatoes. Or they try to convince people to get another bag of potatoes. I fit in wherever I'm needed. It is fabulous. I've given lots of reasons I love volunteering at the food pantry in the past. What I don't tend to talk about though, and I should, is that the food is a big reason too. 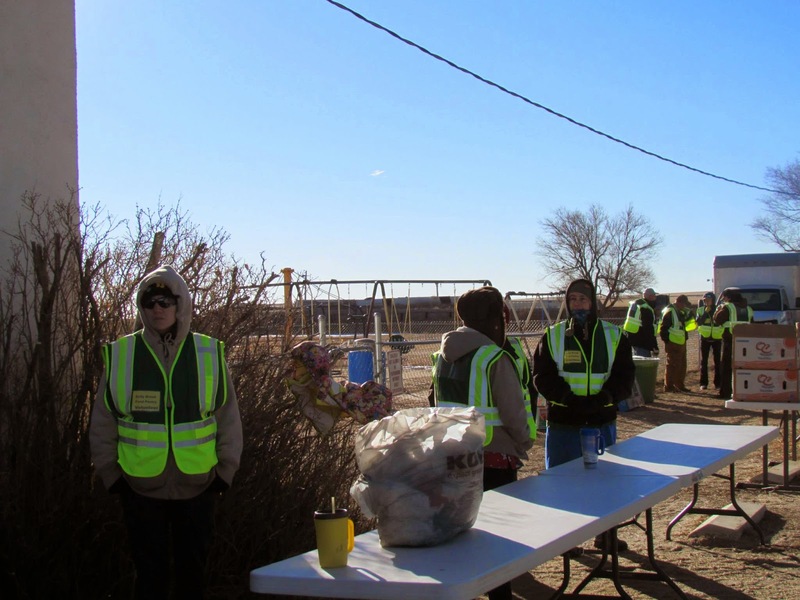 Because, like virtually all of the volunteers at our little pantry on the prairie, we don't just work here. We're also customers. At times, I've been an "end of the day" customer... so I let other families shop first, and I only go through towards the end, getting a few things here and there, and being totally okay if they ran out of oranges before I get there. Right now, I'm not anywhere near so noble. All of that has me thinking about food pantries, and asking for help, and the sanctimonious garbage I often read online. You know, people complaining because someone going through a food pantry has a smart phone. Or their kid is playing on a Kindle Fire. Or they have nice clothes. Or a nice car. They don't deserve it. You've seen those posts and rants, I'm sure. Fortunately, I've never encountered that personally. I have volunteered at a number of different pantries. I have used services of a number of pantries as well. And one thing that has always been emphasized is that we have to take people at face value. If they say they need food, then they need food. We can't decide they do or do not based on what they are wearing, what they are carrying, or what they are driving. That probably means that we've given food to people who don't truly "need" it. And when you are seeing so many people who really, really need food, it is tough to accept that some of the food is going to "the wrong people." But we've also given food to hundreds and hundreds of people who did. And that is what is important. Jesus told us to feed the hungry. And He did too. When I read in the Bible about multiplying the loaves and fishes, I don't see Him instructing the disciples to make people prove they really need food before grudgingly offering them fish and bread. I don't see Him instructing the disciples to not give food to anyone whose robes are "too nice" nor to skip anyone who arrived via donkey instead of on foot. He tells them to feed His sheep. Just how would you define "need" anyway? Some people would look at my family and say we don't "need" food. We have a new car. We own things like iPads and Kindle Fires. Plural. I can show up, having some of the kids dressed in spendy clothing. Or people spot me at Starbucks, enjoying an outrageously expensive Salted Caramel Mocha. But what does that have to do with a need for food? The clothes is either gifts or thrift store finds, with the occasional purchase of something nice. And by "something nice" I basically mean new jeans, without holes. Or new shoes. The car was purchased after a serious look at fuel economy, and we spend less on car payment, insurance and gas than we did on just gas for my husband to drive to and from work. We've used birthday money, Christmas money, and serious sales to purchase the technology, and we use it extensively for school, not just to play Angry Birds. I tend to be given Starbucks gift cards as thank you's, birthday gifts, or just because gifts. And yes, I could go in and purchase scones or something that has some nutritive value (and I have) but usually I use that to treat myself. Or to have a teacher-student conference with one of my kids. At the moment, the big thing driving our "need" for food is medical bills. All of a sudden, we have roughly $8,000 in medical bills. Everyone wants that paid now, or in generous installments, and just one of those payments eats up 2/3 of our monthly grocery budget. We have three big medical payments to make (the ER, the ambulance, the hospital) and a lot of little ones too. To meet those obligations, we have to eliminate all discretionary spending, eliminate our grocery budget, and cut our electricity use in half. For the next year. And that still puts us a couple hundred dollars a month short. The good news is that we can drastically cut our grocery bill. 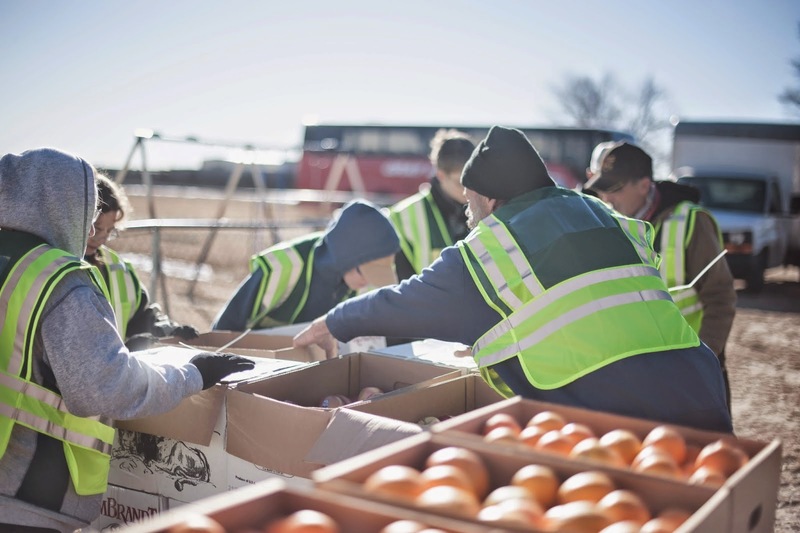 With two trips to the food pantry each month (the max allowed) and the mobile food truck, we'll have fresh produce (especially potatoes), some dairy, some meat, some canned goods, some snacks, and lots and lots of "need to use immediately" breads and desserts. I have stored up a lot. Our freezer is completely full. My mama is a war baby. She taught me to prepare for a rainy day. I've survived before, feeding the family on a grocery budget as low as $35 a month. Of course, I didn't have three teen boys then. The point of this post though, isn't to whine about how rough I have it. I don't. This is a tight spot, unplanned, but I'm not seriously concerned about a foreclosure. And pantry or not, I know I can feed my family rice and beans for MONTHS, so it isn't like we'll starve. But the food pantry makes it easier. No judgement here. There were times in the early years of our marriage when things got so tight that we utilized a food pantry, too. And I understand the desire, almost compulsion to volunteer, as well. In the comfortable season we're in now, it feels good to be able to "give back." Love this post, dear Debra. 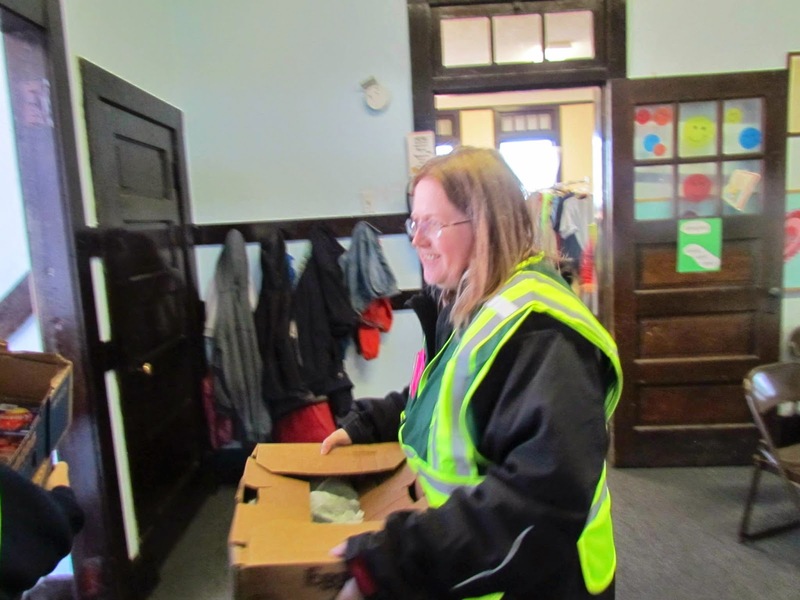 Thanks so much for sharing your heart...and your food pantry story! This is beautifully written. I've been on both the giving and receiving end as well. It's hard to have enough to give and then suddenly find yourself without. We have cell phones because it's required for my husband's work, I have a Nook because I won it, our iPad is 1st generation and was given to us. I'm a great thrift store shopper. Right now we live paycheck to paycheck but I have faith things will turn around but until then I am using this time to teach my children that even though Christmas will be only gifts from grandparents this year, we are blessed beyond measure - we are healthy, have family and friends and an amazing church. I have taught my children that we are rich...not wealthy; wealthy is only about money. You are beautiful. Inside and Out. And I am blessed to call you my friend. This post is such a blessing. Thank you for sharing your heart and story. I also have to turn to the local food pantry for my own family. Adventures in Odyssey Black Friday!